Situated in Bluff Point, this hotel is within 3 mi (5 km) of Old Geraldton Gaol Craft Centre and Museum, Western Australian Museum, and Geraldton Beach. HMAS Sydney II Memorial and Lattitude Gallery are also within 3 mi (5 km). Situated in Geraldton, this aparthotel is within a 5-minute walk of Lattitude Gallery and Cathedral of St Francis Xavier Church. 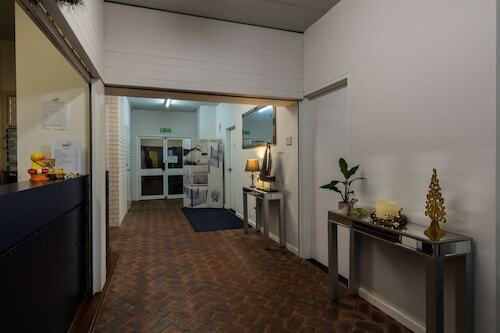 Queens Park Theatre and Geraldton Visitor Centre are also within 10 minutes. Located in the heart of Geraldton, this motel is within a 15-minute walk of Queens Park Theatre and Cathedral of St Francis Xavier Church. Lattitude Gallery and HMAS Sydney II Memorial are also within 1 mi (2 km). Situated near the beach, this apartment building is within 3 mi (5 km) of Old Geraldton Gaol Craft Centre and Museum, Western Australian Museum, and Geraldton Beach. HMAS Sydney II Memorial and Lattitude Gallery are also within 3 mi (5 km). Thinking of visiting Geraldton? Be sure to swing through and reach the Bluff Point district, positioned 4 kilometres north of the central business district. A terrific Bluff Point cafe, Muzz Buzz Java Juice is certainly worth popping into. Relax with a magazine, nibble on some sweet treats or just grab a coffee to go. No matter how hard we try, we can't keep going on just caffeine. Check out the menu at L'Attitude 28 when your tummy starts complaining. Your evening might be ending or just getting started. Either way, a few drinks at Lat28 Pub Bottleshop certainly couldn't hurt. 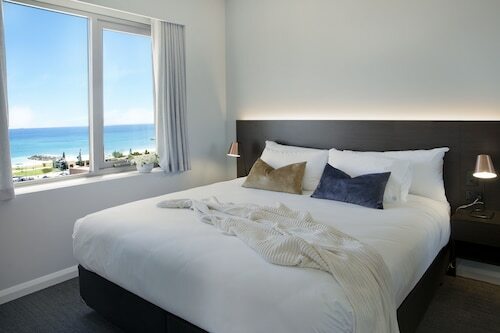 Booking a hotel in Bluff Point's core might be problematic if you're after a last-minute option, but you can rest easy with alternatives available in the Geraldton hotels guide and in the Wotif Mahomets Flats hotels guide. 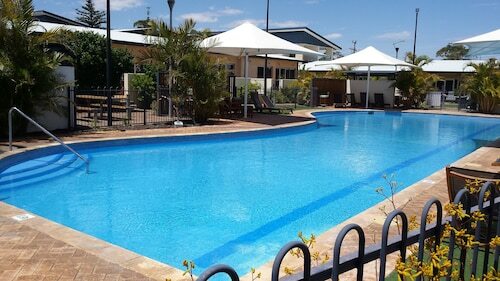 In Geraldton, have a look at the amenities and latest deals at the Mantra Geraldton and Best Western Hospitality Inn Geraldton. If those options don't suit, the Ocean View Villas and Ocean West Holiday Units in Mahomets Flats are well worth checking out too. From hotels in Bluff Point to flights, car hire and activities, Wotif has got you covered! How Much is a Hotel Room in Bluff Point? Hotels in Bluff Point start at AU$90 per night. Prices and availability subject to change. Additional terms may apply. Close to beach and shopping. Secure gated premises.